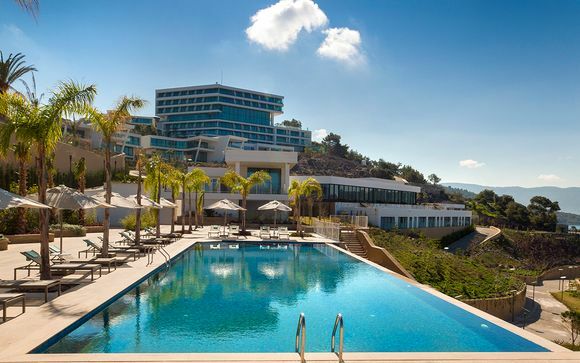 Holidays to Bodrum up to -70% off To take advantage of these offers, join now for free! Enjoy luxury holidays to Bodrum with Voyage Prive and discover untouched beaches and perfectly blue Mediterranean oceans; book online today. If you long to get far away from home and find untouched, picturesque beaches with crystal blue water and cloudless skies, then holidays to Bodrum in Turkey could be perfect for you. Gumbet and Bitez are two of the most famous beaches offering the chance to relax under the sun and listen to the waves lapping on the shore. For more excitement, partake in the assortment of watersport opportunities available, including water skiing or windsurfing. For added enjoyment, you can take a trip out into the waters and go snorkelling or diving to explore the many exotic fish and other aquatic wildlife that the oceans have to offer. 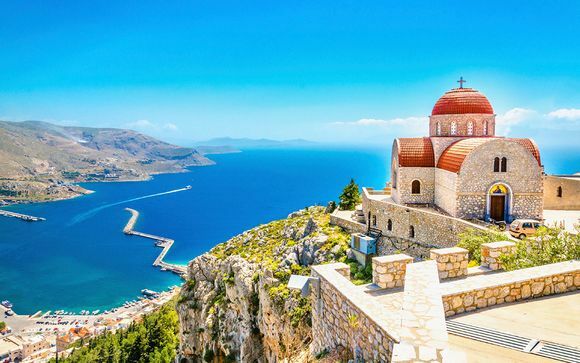 Bodrum plays host to some of the of the most exciting pieces of architecture in the region, with the most famous being the Mausoleum of Halicarnassus which stands as one of the seven ancient wonders of the world. Its ruins and remaining stonework were first constructed between 353 and 350 BC and draw in tourists from far and wide. Another notable building is Bodrum Castle which was first constructed by the Knights Templar during the 15th century. 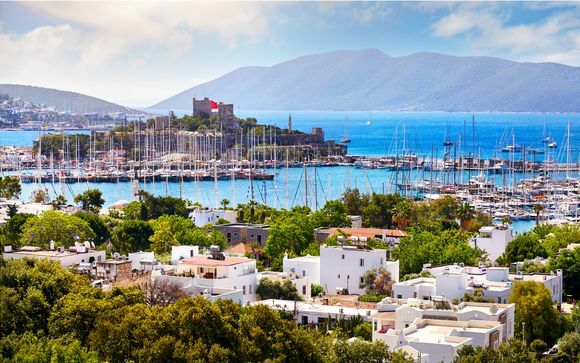 Having played a crucial role in Turkey’s history for centuries gone by, Bodrum has long been a popular and eventful coastal port and holidays to Bodrum offer you the perfect chance to unlock its hidden secrets. The nightlife offered in Bodrum is similarly diverse as its history and those looking for bars and clubs can find plenty of excitement in Gumbet. For a more relaxed evening, visit one of the numerous great quality restaurants and bars situated along the Bitez beach. With fresh access to locally sourced fish and other ingredients, Bodrum has a wide variety to offer its guests in terms of top quality Aegean and Mediterranean cuisine. After your meal, sit back in the warm evening heat and sip a cocktail while gazing out at the star-filled skies. 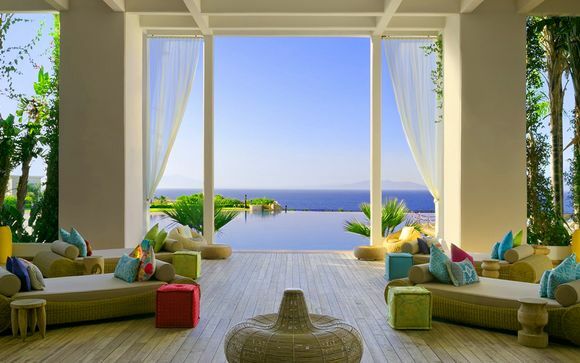 A private pool and a room with perfect views overlooking the beaches is the ideal way to enjoy holidays to Bodrum. 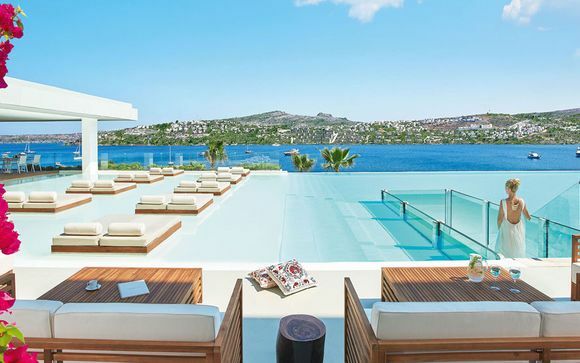 We offer exclusive flash discount sales on a number of top quality and extravagant hotels in Bodrum; to start making your dreams of visiting this idyllic location come true, sign up today to receive notifications.